Check out brand new imprint, Protect Audio, with their mission statement aimed towards the deeper, more tech-influenced end of the D&B spectrum. Expect a whole host of productions over the coming year from a hand-picked selection of up and coming electronic artists. 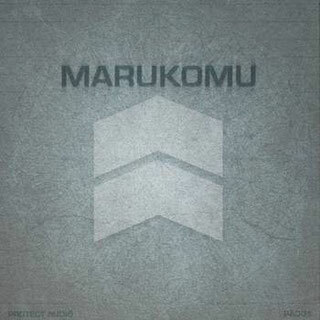 First up, it’s an EP from Manchester’s Marukomu. ‘Visions’ opens proceedings with some seriously cinematic soundscapes that hark back to the days of Source Direct and the Photek years. Marukomu hits you with some crystal breaks, sick mid-range and engulfing pads that’s crafted, to work both on the floor and at home. Keeping things in a similar vein, ‘Ganymede’ kicks off with some stripped back percussion and more sinister atmospherics, paving the way towards some nasty drum edits and snarling bass. Remixes come courtesy of Mono and Eleven8, who are previously known for their productions on labels such as Med School, Hustle Audio, Silk and Rotation. Out 25th June.